Dr. Rochelle Wolfe is a board-certified Radiologist with fellowship training in Interventional Radiology. With over 10 years’ experience, she specializes in treating uterine fibroids, pelvic congestion syndrome, and venous disease. 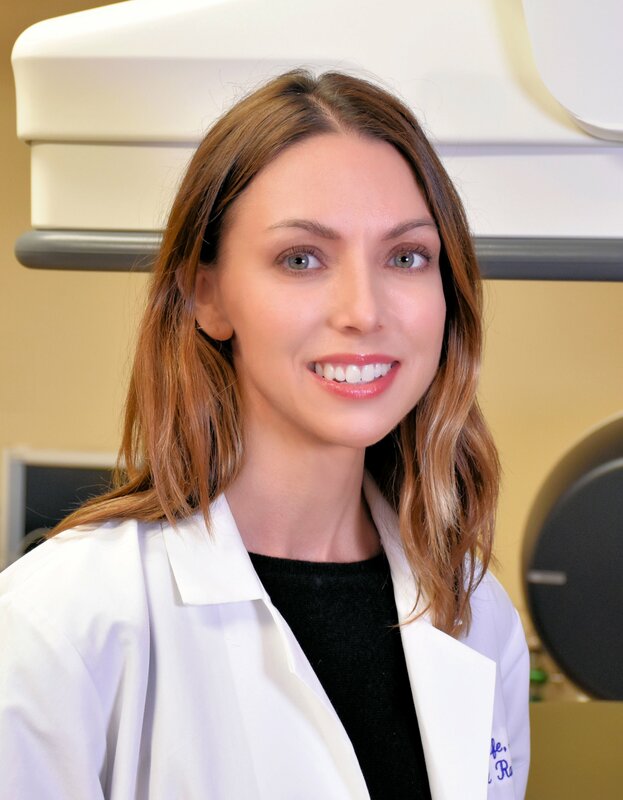 Dr. Wolfe’s passion for treating women’s health issues was inspired during her fellowship year at the University of California, San Diego. She was trained and mentored by Dr. Ann C. Roberts, one of the early female leaders in uterine fibroid embolization. After fellowship Dr. Wolfe returned to her home state of Minnesota, where she focused on venous disease treatment at The Vein Center, which continues to be one of the most established and experienced vein clinics in Central Minnesota. As one of the first physicians in Minnesota to treat uterine fibroids in an outpatient setting using a wrist approach, Dr. Wolfe was a leader in providing Uterine Fibroid Embolization, or UFE, to women in the north-central region of the United States. Her most recent practice was featured in MD News in May 2018 (Read article). Dr. Wolfe is an experienced, compassionate physician, caring for patients at the Atlanta Fibroid Center. She is committed to advocating for women’s health and becoming involved in the community. Dr. Wolfe plans to continue her mission of providing community fibroid and UFE education, along with increasing awareness about pelvic congestion syndrome and venous disease. Our friendly team of health professionals at Atlanta Fibroid Center provide experienced care and excellent hospitality. On your procedure day, you will be assigned a private room for ultimate comfort and privacy!